You know how uncomfortable it can be to get overheated, but as a family caregiver, it is critical that you understand that it can also be dangerous. Particularly for vulnerable groups such as elderly adults, heat can lead to a variety of serious health complications and issues, potentially putting their well-being and even their lives at risk. When the temperature outside starts to creep up, it is critical that you take the proper steps to protect them from these serious health issues. This starts with being able to recognize heat stress when it occurs. Heat stress refers to the physical burden that is placed on the body when in a hot environment. This stress occurs because of the strain that the heat places on the heart and blood vessels, both of which are critical elements of the body’s natural cooling system. It is particularly important to note that this does not just happen when the weather is extremely hot or if your parent is outside. Simply being inside a small space, such as a vehicle, dressing inappropriately, or not having an adequate cooling system, can put your parent at severe risk of heat stress and the health complications associated with it. If your parent struggles with certain health problems already, they might be at further increased risk for heat stress. If you are concerned that your senior is at particular risk for heat stress, talk to their doctor. 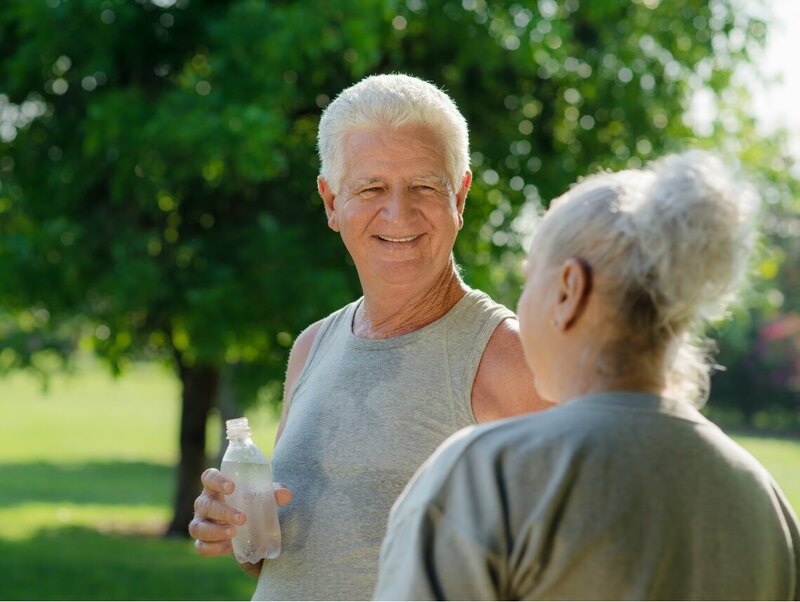 They can help you to identify your parent’s risk factors and help you to make care decisions that will help to protect your parent from the heat. Starting home care services for your elderly loved one can be one of the best decisions that you can make for your senior throughout the course of your caregiver journey with your aging parent. A home care services provider can be in the home with your aging loved one on a customized schedule that is right for them. They will work with you and your parent to design a highly personalized set of services tailored to their individual needs, challenges, and limitations. In addition to helping them to manage these issues, they can also help your senior to pursue a lifestyle that is as active, engaged, and independent as possible as they age in place. This can include assisting your parent with activities of daily living and personal care, offering companionship and support, and even providing safe and reliable transportation that will help your parent stay safe, healthy, and comfortable, and also seek out a life that is as fulfilling as they can during this chapter of their lives.